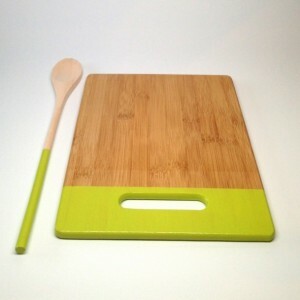 This set includes one medium bamboo cutting board (8.5" x 11.5") and one 12 inch wooden spoon. They are both painted a vibrant citron green. Perfect for a gift or to keep for yourself! 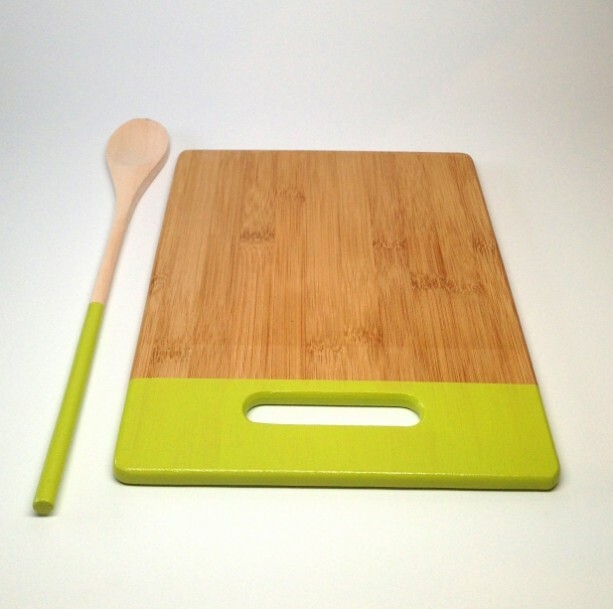 This listing is for one cutting board and one spoon only. 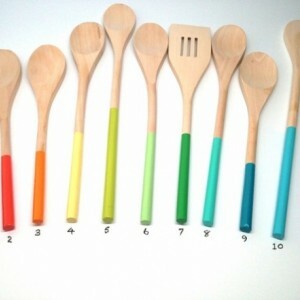 If you are interested in a different color, please sent me a message and I will make a listing for you. Sets can be all the same color or mix and match! Refer to the first photo for color options. 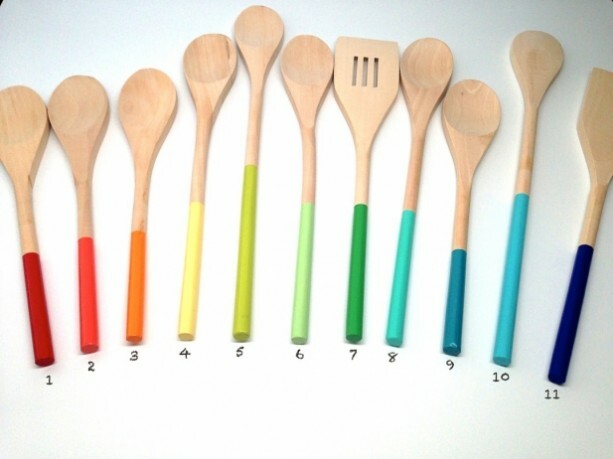 Colors are: 1. Red 2. Coral 3. Orange 4. Light Yellow 5. Citron Green 6. Pistachio 7. Kelly Green 8. Turquoise 9. Teal 10. Sky Blue 11. Cobalt Blue Please don't hesitate to message me with any comments or questions! I love doing custom orders! If you don't see the color you would like, please let me know and I will do my best to accommodate you :) Custom orders will take an extra 3-5 days to complete before I can mail them out. If you have a specific time deadline, please let me know and I will try my hardest to get your items to you before then.